Interesting case! 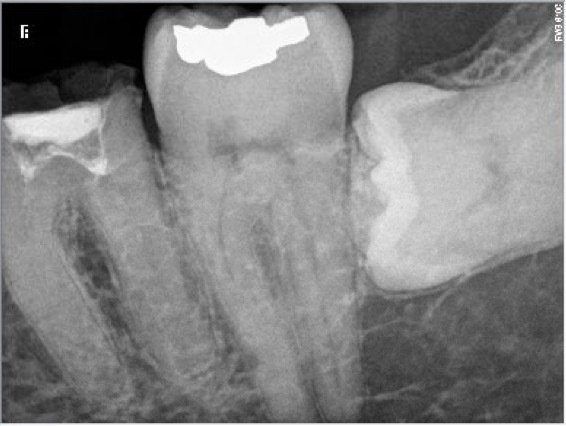 in how many time did you manage treatment of this tooth? 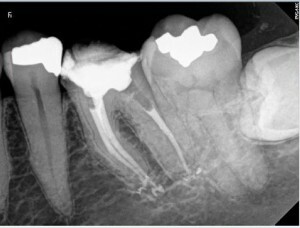 And what do you about system like pathfile or proglide which can be really interesting to find patency of the root, easier maybe? Thank you for your comment! I am glad that you did appreciate this case. 2 settings were enough to complete this procedure. First setting for the mesial root and second one for the distal root. 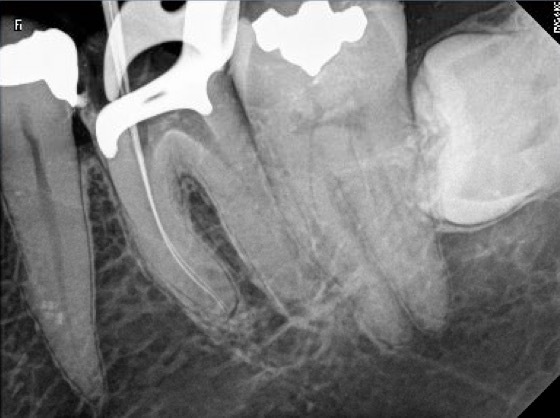 Pathfile or Proglide won’t fit in those canals since they are much to narrow for these instruments diameter. In order locate the canal entrie, you need to scout the canal and for that purpose you do need a pre curved instrument , a straight one that cannot be bent won’t be of much help, stainless steel files can be pre curved. 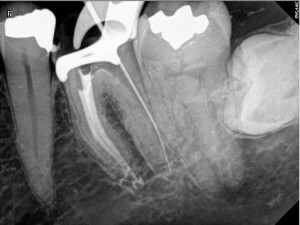 A number 06 stainless steel K file or a (06 C file) will be more efficient. Mani D finder are also very good instruments. Hope this can help. Cheers! i understand.very well. thank you for you response.